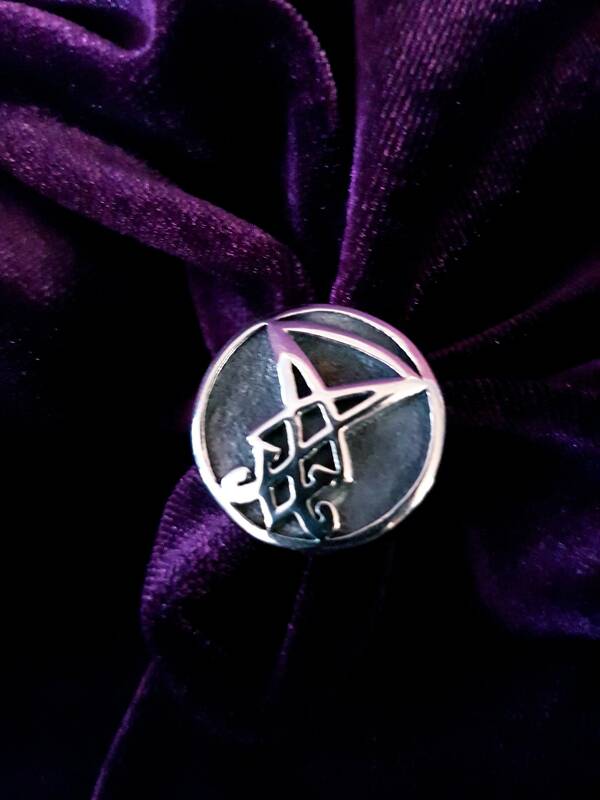 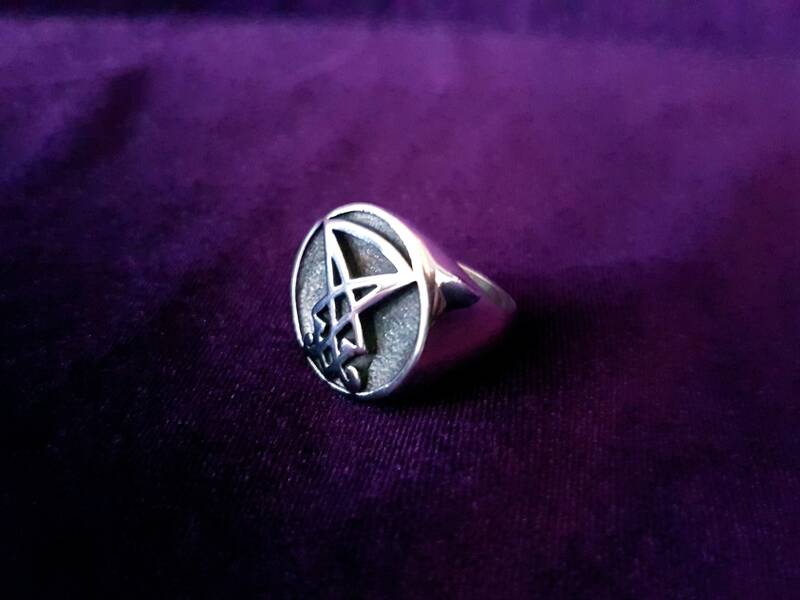 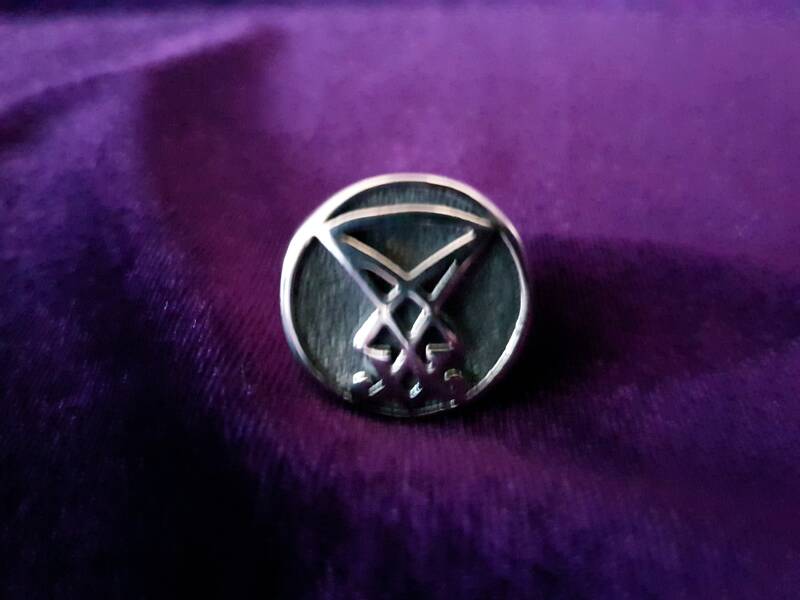 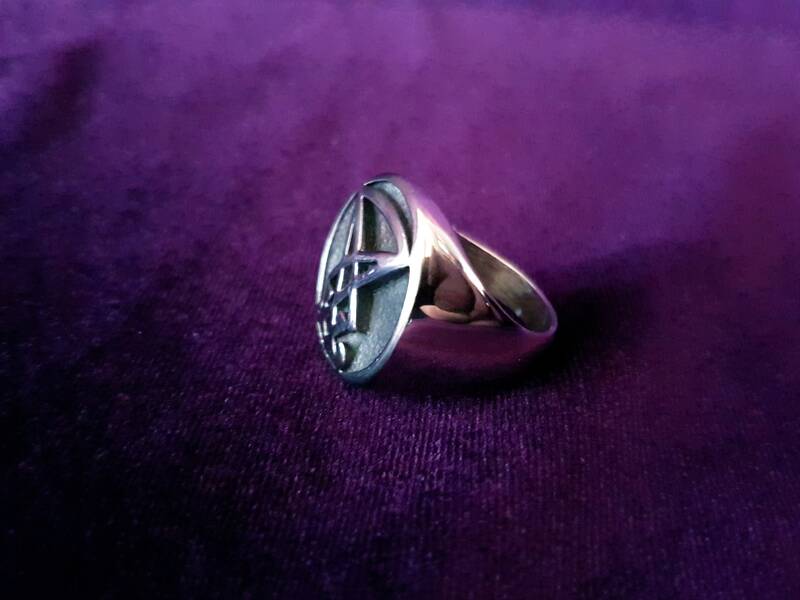 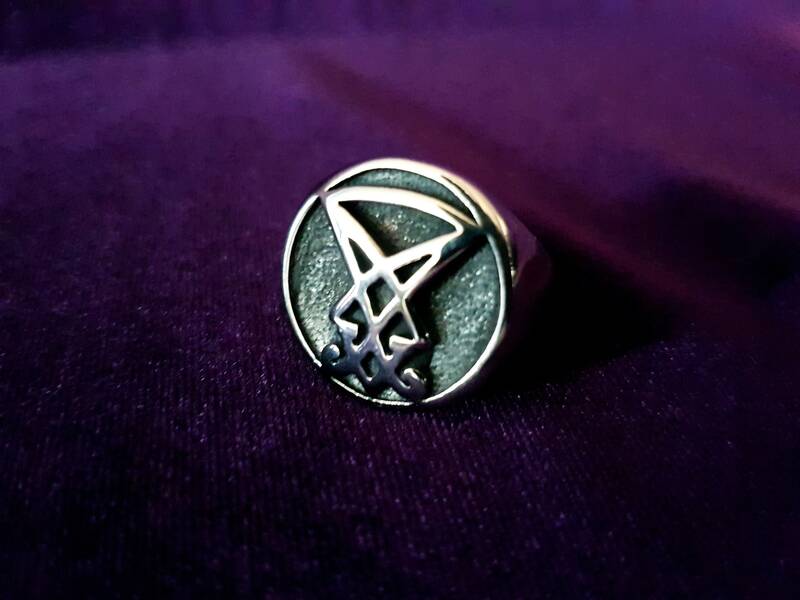 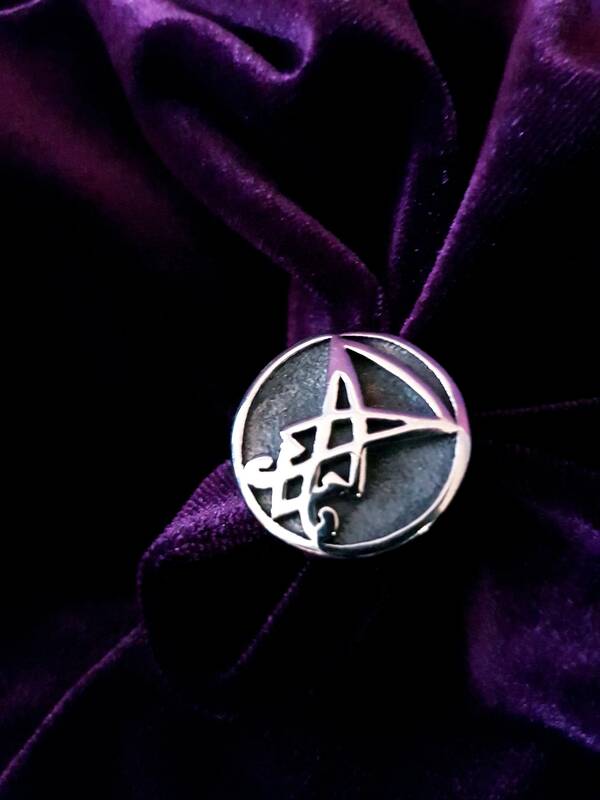 Beautiful Curved Sigil of Lucifer Ring. 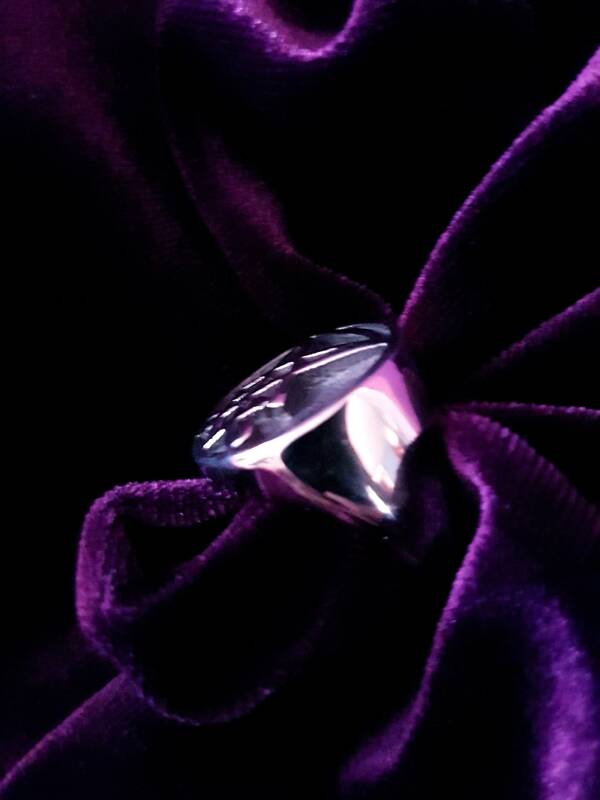 Comes with a black fabric bag to protect your jewellery. 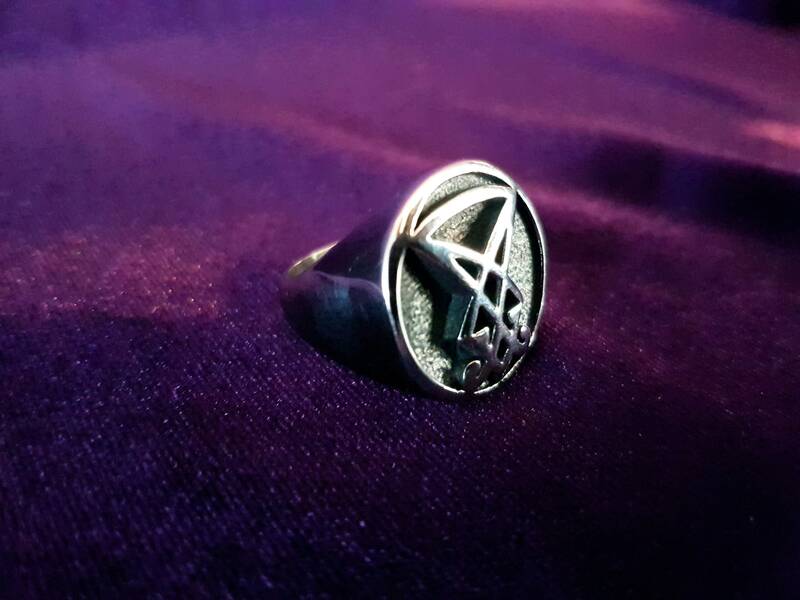 Available in different US sizes.